Galloplumbogummite: Mineral information, data and localities. Also given as Pb(Ga,Al)3-xGexH1-x(PO4)2(OH)6 for 0 ≤ x ≤ 1. 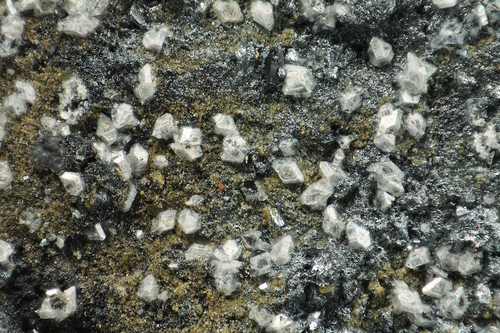 The new mineral was discovered in a sample bequeathed to the Mineralogical Museum Hamburg by Prof. Dr. Hermann Rose (1883–1976). Found in the second oxidation zone of the Tsumeb mine. Ga-dominant analogue of plumbogummite. Rhombohedral crystals up to 0.15 mm. Found in two millimeter-sized vugs in massive germanite-renierite ore. Type material is deposited in the collections of the Mineralogical Museum of the University of Hamburg, Hamburg, Germany, catalogue number TS 315. Second oxidation zone of the Tsumeb ore deposit. Schlüter, J. and Malcherek, T. (2011): Galloplumbogummite, IMA 2010-088. CNMNC Newsletter No. 9, August 2011, page 2537; Mineralogical Magazine, 75, 2535-2540. Schlüter, J., Malcherek, T., Mihailova, B. 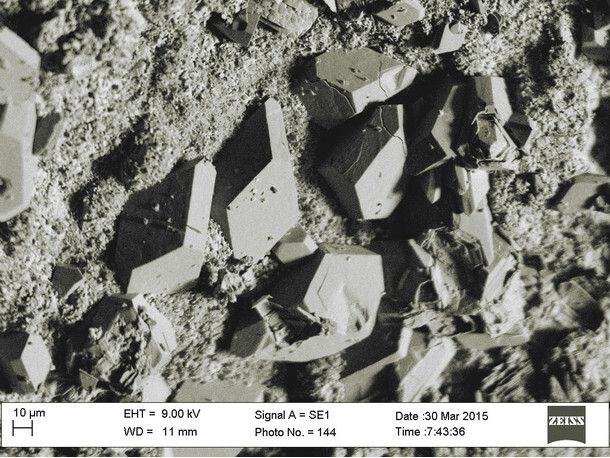 (2014): Galloplumbogummite from Tsumeb, Namibia, a new member of the alunite group with tetravalent charge balance. Neues Jahrbuch für Mineralogie - Abhandlungen, 191, 301-309. Schlüter, J. and Malcherek, T. (2011): Galloplumbogummite, IMA 2010-088. CNMNC Newsletter No. 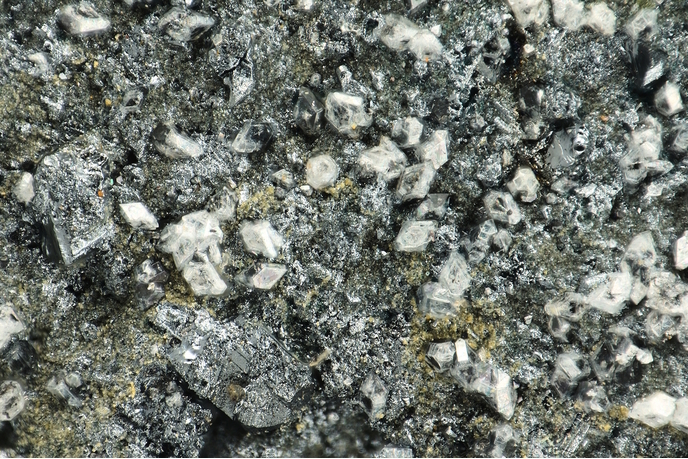 9, August 2011, page 2537; Mineralogical Magazine, 75, 2535-2540: Schlüter, J., Malcherek, T., Mihailova, B. (2014): Galloplumbogummite from Tsumeb, Namibia, a new member of the alunite group with tetravalent charge balance. Neues Jahrbuch für Mineralogie - Abhandlungen, 191, 301-309.